Say goodbye and commemorate your beloved dog when you display this heartfelt personalized photo canvas in your home. Losing a furry friend is never easy, but you can ensure your pup's memory will stay alive when you have a canvas like this to remember them by. This heartfelt Memorial Photo Canvas may be hung on the wall or you may wish to add our optional wood easel for table display, sold separately. 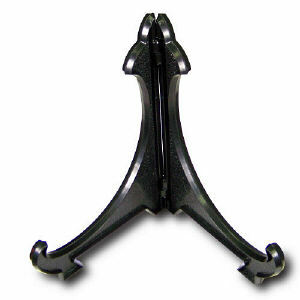 The canvas has gallery wrapped edges so it is perfect to display with or without a frame. Measures 10" x 10". Free personalization of any photo and two line custom message is included. For production purposes, please enter a photo description that best describes your photo. Additional Details Give any friend or family member who has lost their beloved pet recently this personalized gift. They'll be touched by the gesture and will cherish this memory of their pup for years to come. 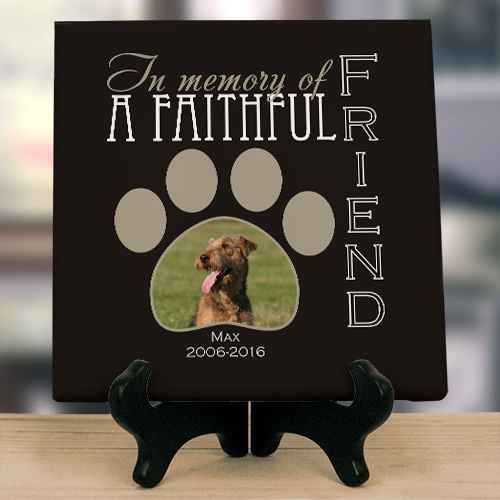 Our Personalized Faithful Friend Memorial Photo Throw Pillow is another great way to commemorate your pooch.